Getnamo – Devblog – Its all about context. For the past couple of months I’ve been working on bringing TensorFlow to UE4, enabling the use of state of the art machine learning in Unreal Engine projects. The plugin has reached something I think is ready to try out, but it is very much a work in progress so please check it out and give some feedback if you can! There are pretty detailed instructions at the repositories outlining how to use the plugin with examples. 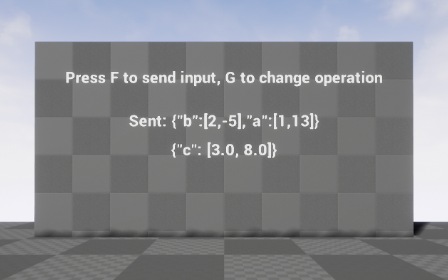 Maybe you want to recognize hand written digits using UE4 textures? How about drawing shapes in your browser? Which one will be the champion?